Born in central Kentucky, C. Michael Garver graduated from Ashland High School in 1955. 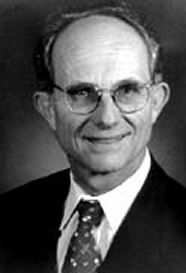 He received a Bachelor of Science in Mechanical Engineering from the University of Kentucky in 1960. While in college, Mr. Garver was a member of Delta Tau Delta fraternity. After graduation, Mr. Garver began his career with Union Carbide in South Charleston, West Virginia, as a trainee design/construction engineer. His goal at the time was to eventually move to Union Carbide’s construction division. Three years later, he realized a lifelong dream of living in Texas when he was transferred to Texas City, Texas to work on a construction project for the company. When the project ended the following year, Mr. Garver left Union Carbide for construction equipment sales job with E.L. Lester Company in Houston. The state of Texas was abound with opportunities at that time. During the next seven years with E.L. Lester Co., Mr. Garver had developed an interest in real estate and made business connections with a local contractors. The most notable contact was with construction superintendent, Billy Ray Harrington. In 1972, he teamed up with Bill Harrington and another business associate, George Speaks, and founded a new construction company. Named BRH, Inc., for Harrington, the construction veteran, Mr. Garver was the major stockholder. At the same time, he also held an interest in an equipment company and a real estate business. In 1973, Mr. Garver and Harrington purchased their partner’s interest in the construction company. The two learned the contracting business as they went along. The first few years in business were lean, but they survived and eventually began to prosper. By 1981, Garver solely owned the construction company, changing the name to BRH-Garver, Inc. As a civil construction contractor, the company specializes in underground construction, tunneling, treatment plants and concrete construction. BRH-Garver and Mr. Garver are the pioneers in the technique of microtunneling and the development of trenchless technology in North America. Microtunneling is the use of a remote control, laser guided tunneling machine to install pipeline without disruption to city streets. BRH-Garver, Inc., is also involved in other methods of trenchless technology, including cured-in-place pipe, pipe bursting and sliplining. BRH-Garver, Inc., with offices in Houston and San Diego, California, is a $55 million per year construction company with 180 employees. In addition, Mr. Garver’s business interests include Garver Crane Equipment Corporation, and operation of industrial real estate properties. Awards bestowed upon Mr. Garver include 1995 Trenchless Technlogy “Person of the Year” and 1998 “Most Valuable Professional” for Gulf Coast Trenchless Association & Underground Construction. BRH-Garver, Inc. received the ’97 Project of Year/New Construction from Trenchless Technology for their San Diego project. His professional associations include Buffalo Bayou Partnership, East End Chamber of Commerce, Gulf Coast Trenchless Association, Houston Engineering Society, City of Houston General Appeals Board, National Utility Contractors Association, the North American Society for Trenchless Technology, and the Texas Utility Contractors Association. He is a past president and board member of the Houston Contractors Association and a member of St. Luke Methodist Church. Classic cars, tennis, jogging, marathoning, and hunting occupy Mr. Garver’s leisure time. He resides in Houston and has two daughters. His wife, Susan, passed away in 2016. In 2015, Mr. Garver committed $4 million to create the Garver Endowed Scholarship Fund. Thanks to him and his late wife's generosity, students who demonstrate during their first year that they can excel in their engineering studies are eligible for an annual scholarship worth up to $10,000. His gift is the largest outright scholarship gift in the College's history.